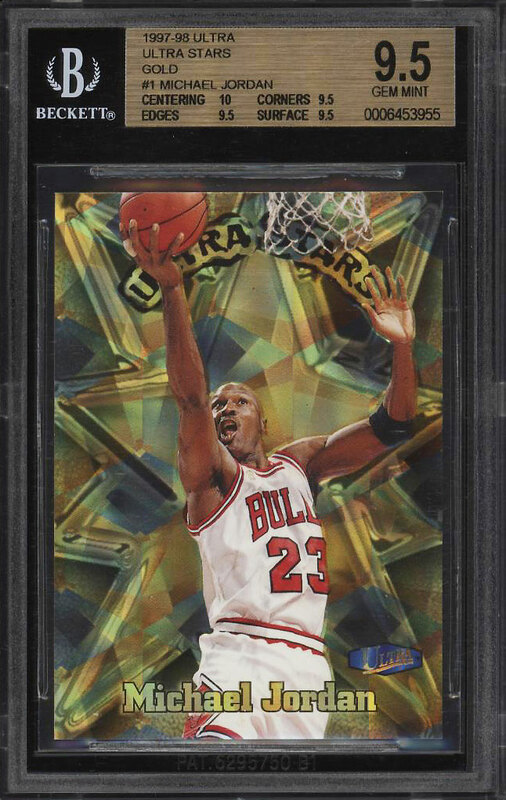 Spectacular Ultra Stars Gold Michael Jordan on the auction block this month. The offered speciman ranks as the highest graded '9.5' example in the hobby with GEM MINT qualities along with pristine centering. This condition sensitive '90s insert is heavily prone to edge/surface chipping is virtually impossible to locate in Beckett 9.5. 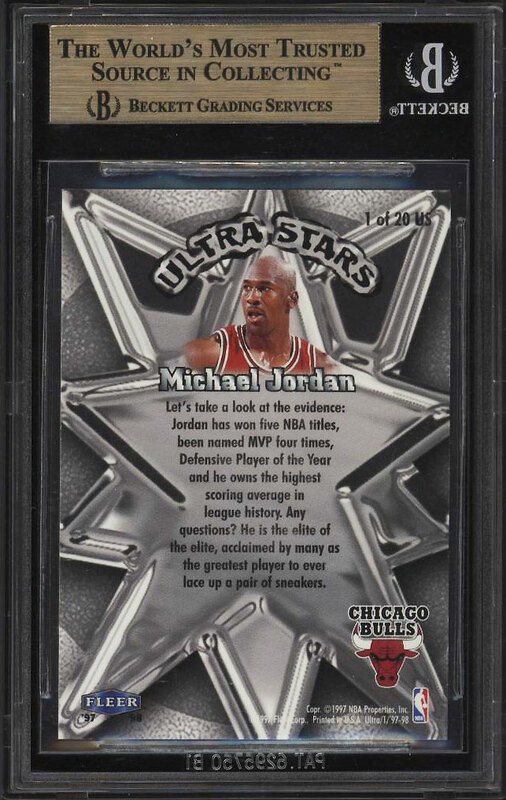 This card was inserted at a rate of 1:57,600 packs, a number which speaks to it's extreme rarity. An all around awesome, beautiful and mind-blowing card which commands attention. Proudly offered to the eBay community free of any reserve. One of over 18,000 cards, lots and sets up for bid in our 6th Auction of 2018. Click on the link above to view the other PWCC auction lots.